One of the upcoming smartphones that we’re seeing most interest in at the moment is the Google Nexus 5. There have been increasing signs that the phone may launch soon, and today purported Nexus 5 images and a video give us a glimpse of the phone in action. Google has kept the Nexus 5 a well-guarded secret until recently, but over the last couple of weeks more leaks have come to light. It now looks more than probable that LG will be the manufacturer and that the phone will also feature optical image stabilization. Further to this sources have claimed an October 14 launch date for the Nexus 5 running Android 4.4 KitKat. Earlier today we told how a Spigen case for the Nexus 5 is now listed on Amazon with an availability date of October 31. While none of this is officially confirmed yet, it does seem to imply that the Nexus 5 will have arrived by the end of October, or close to it. As we get closer to the launch of a phone we often see a growing amount of image and video leaks of the device, and today we’ve been treated to some real teasers for the Nexus 5. Firstly, a very short video appeared on YouTube that purports to show the Nexus 5. We’ve embedded the video below this story for you to view but be warned it is very brief and will only give you a glimpse of the device. 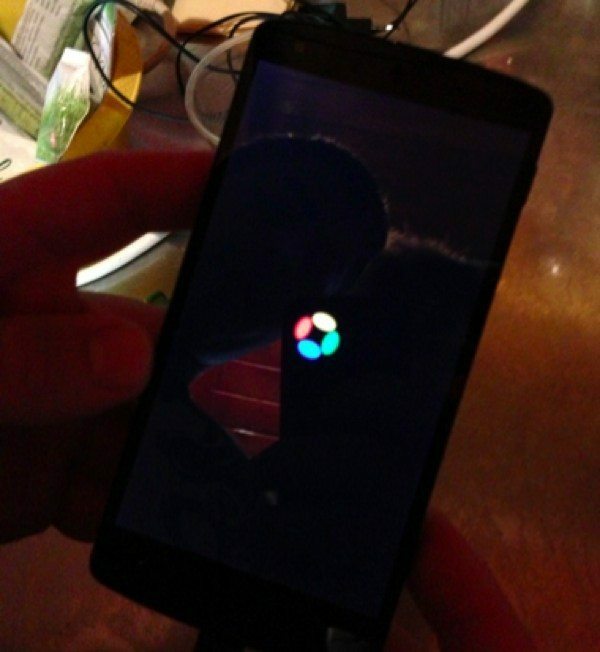 The video is claimed to be of the Nexus 5, and to have been taken by a bartender when the device was left for a short time on a bar. You can see the device being turned on and then the lockscreen, and Android 4.4 KitKat seems to be evident. 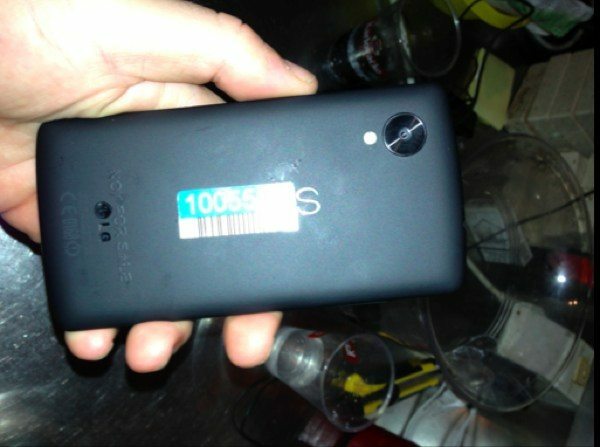 Some images were also taken of the purported Nexus 5 and we’re showing a couple here, one of which shows the reverse of the device very clearly. If this is the real deal the LG logo can be clearly seen, but of course we cannot verify these images or the video at this stage. However, the device does appear to tie in pretty closely with leaked images and claimed spots of the Nexus 5 that we’ve seen previously. We’d be interested to hear your opinions on these images and the video. Are you convinced the device shown is genuinely the Nexus 5? We always appreciate input from readers, so let us know by sending your comments.